My name is David Becerra. I’m a software engineer living in LA. During my free time, I read post-apocalyptic books, try not to drive my wife crazy, and plan on how I might take over the world. This is my personal blog. A place where I write about anything I want. Whether that be code, movies, music, video games, even politics. Yikes! Feel free to shoot me a message or follow me on twitter. 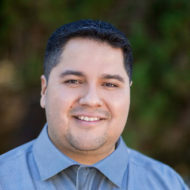 David Becerra, Proudly powered by WordPress.